One of the hardest decisions we face is choosing where to live, and often there is simply not enough data available to make an informed decision. 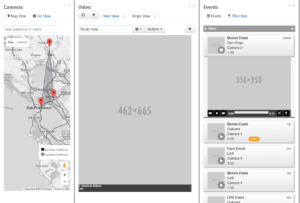 To attempt to make this process easier, 288 Cities aggregates facts about the most populous cities in the United States (the top 288, to be precise). 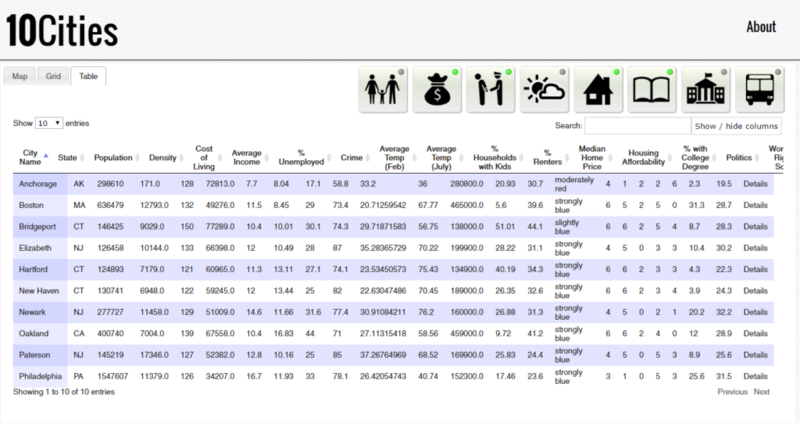 Slider controls enable the user to narrow down the results based on economic, geographical, political, and other important factors. 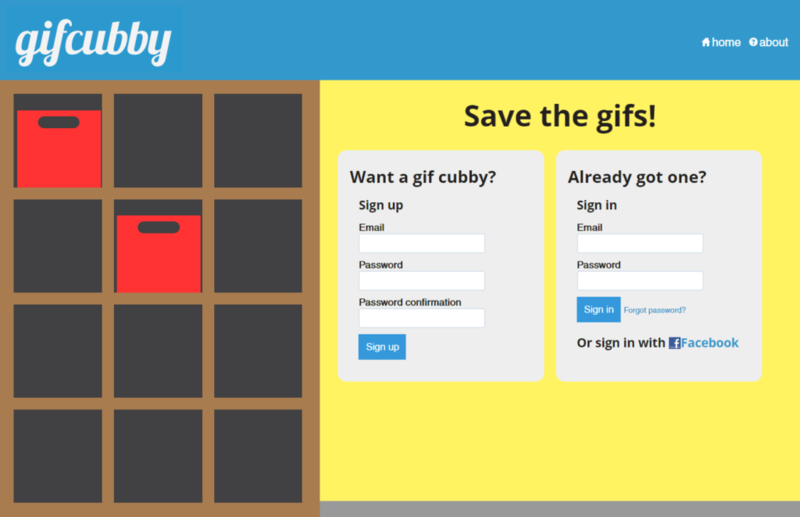 Gif Cubby is a web app for storing links to animated gifs. 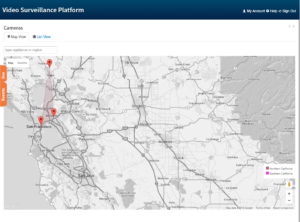 The site features tagging, searching, user accounts, sharing (to Pinterest and Facebook), and Facebook authentication via OAuth. 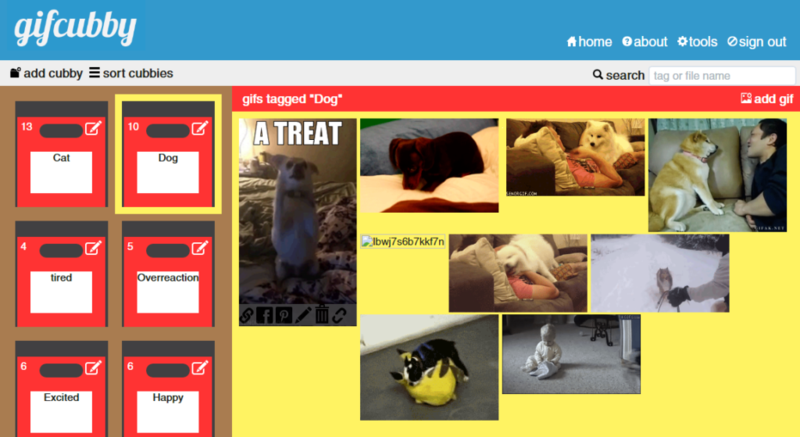 It also has a companion Chrome extension for rapidly posting gifs to the site from anywhere on the web. 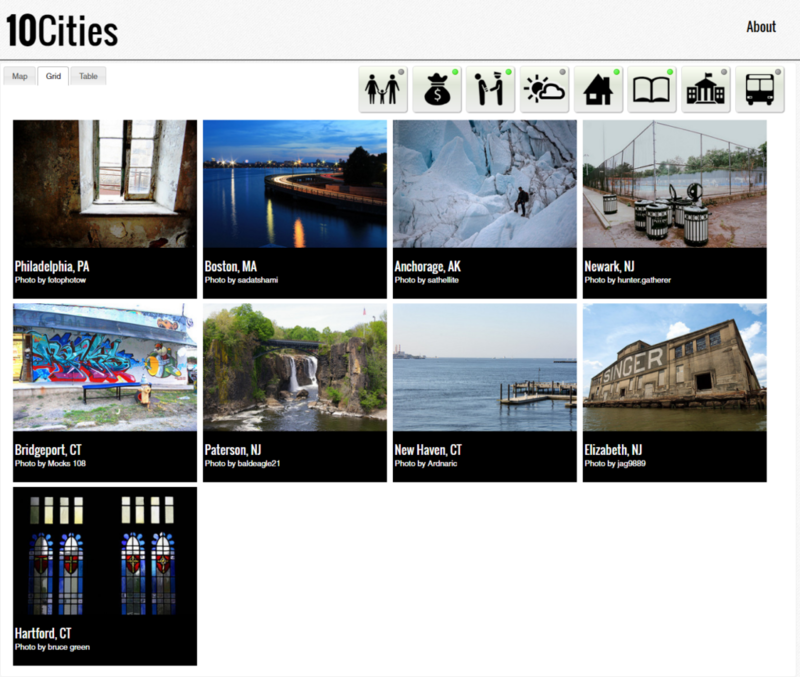 CodeMap shows job search result counts in 100 U.S. cities for 200+ programming languages. The data was obtained by cross-referencing Wikipedia’s List of Programming Languages with Indeed.com search result counts for the top 100 largest U.S. cities. 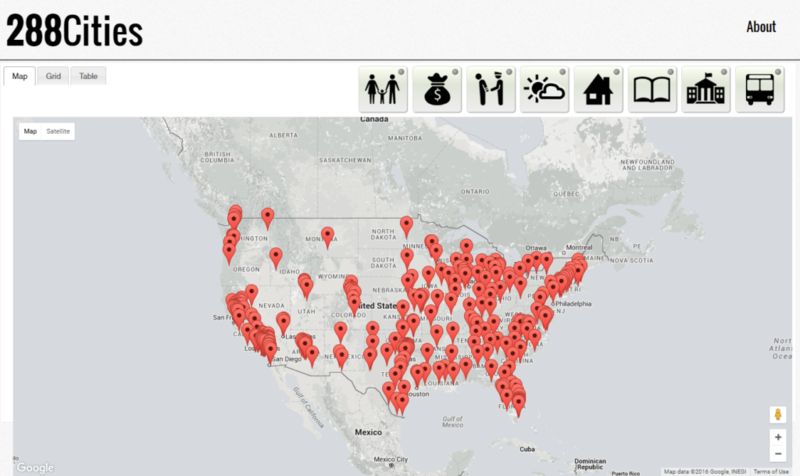 The result is a heatmap of programming language popularity across the country. 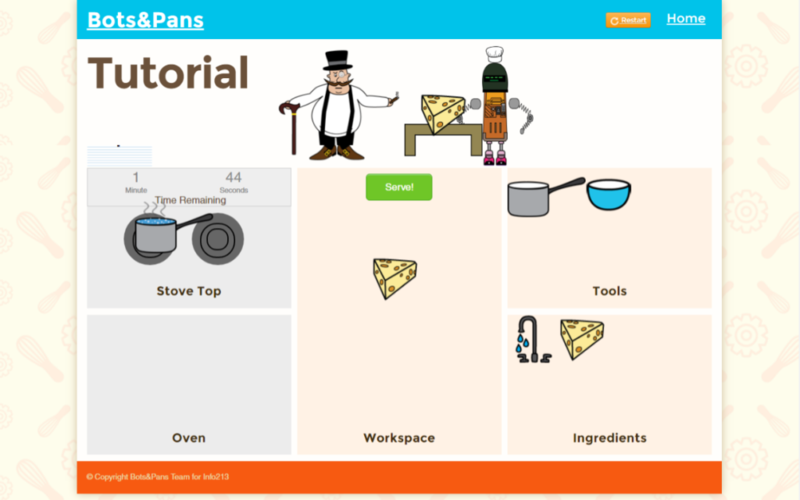 This project was created for a web development lab course. When planning the project, my group wanted to take advantage of one of the many sources of open data made available by the city of San Francisco. 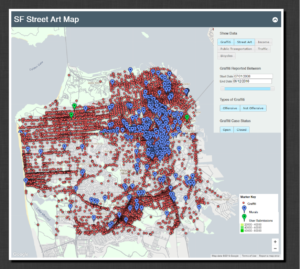 We pulled data from several sources into Google Fusion tables to create the multi-layered SF Street Art Map. 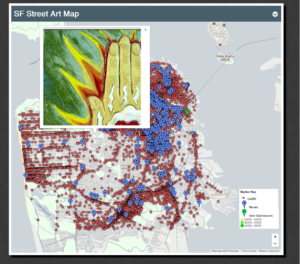 Viewers can map the location of graffiti reports and recognized murals along with traffic, transit, and income layers to investigate the (sometimes tenuous) lines between art and crime. 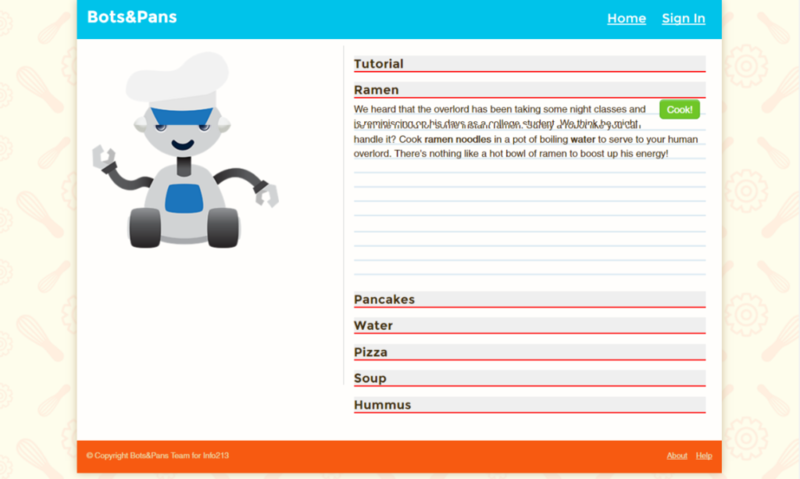 Bots and Pans was a project for Info 213 – User Interface design. Over the course of the semester, my group took this project through a full design cycle, from initial concept, to contextual inquiry (studying how people interact with their favorite casual games), to paper prototyping and user testing, and finally to an interactive prototype. 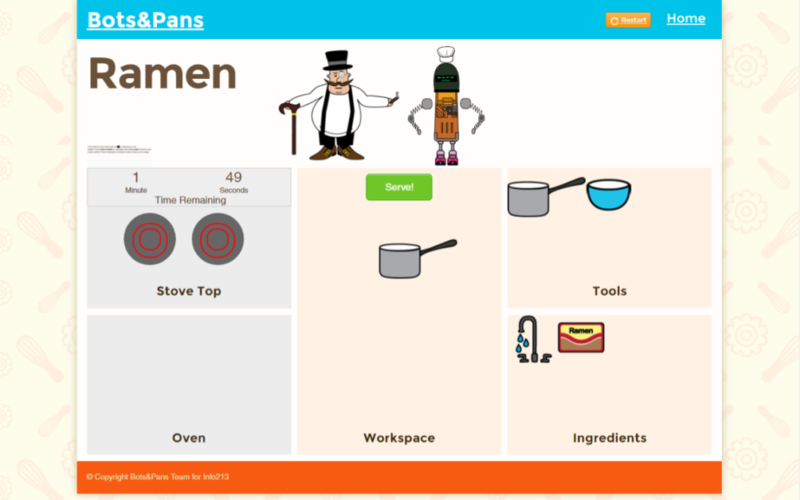 The game screen, where players attempt to prepare the recipe before time runs out. 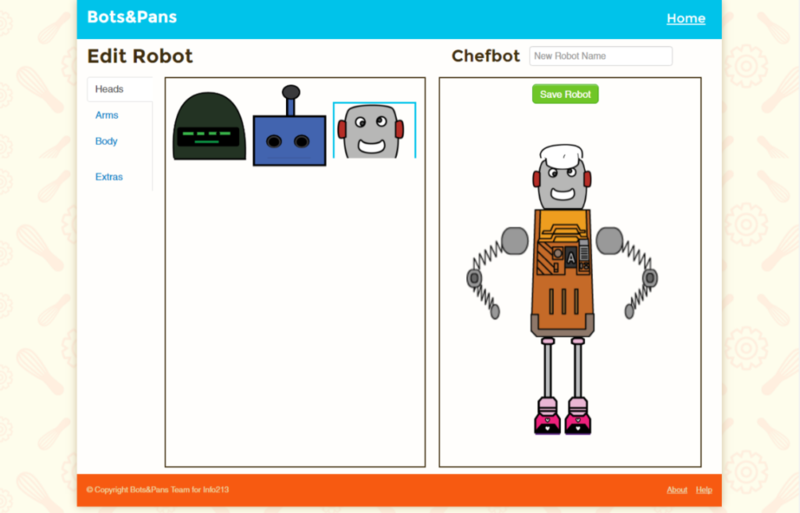 Players could customize their robot character by picking and choosing different body parts. 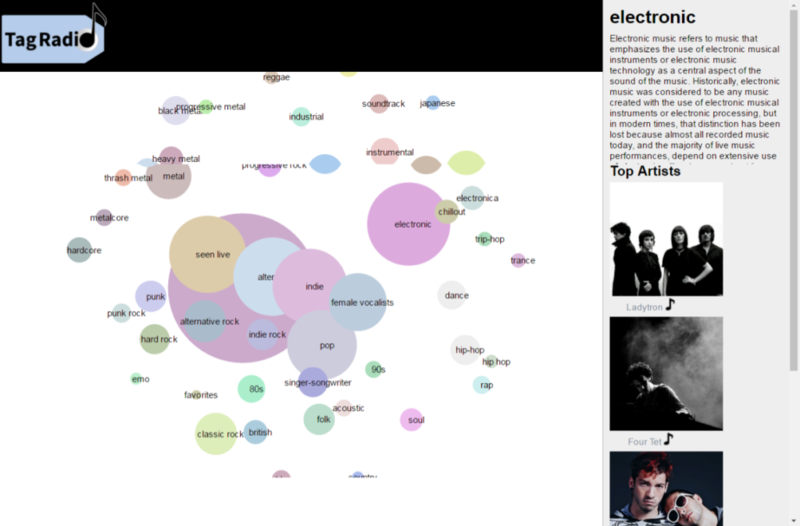 Tag Radio is a music classification visualization that shows the relationships between genres. We used the Last.fm API to pull in the top 50 tags, and then created a python script to measure similarity between a tag and all others based on the number of shared tags. 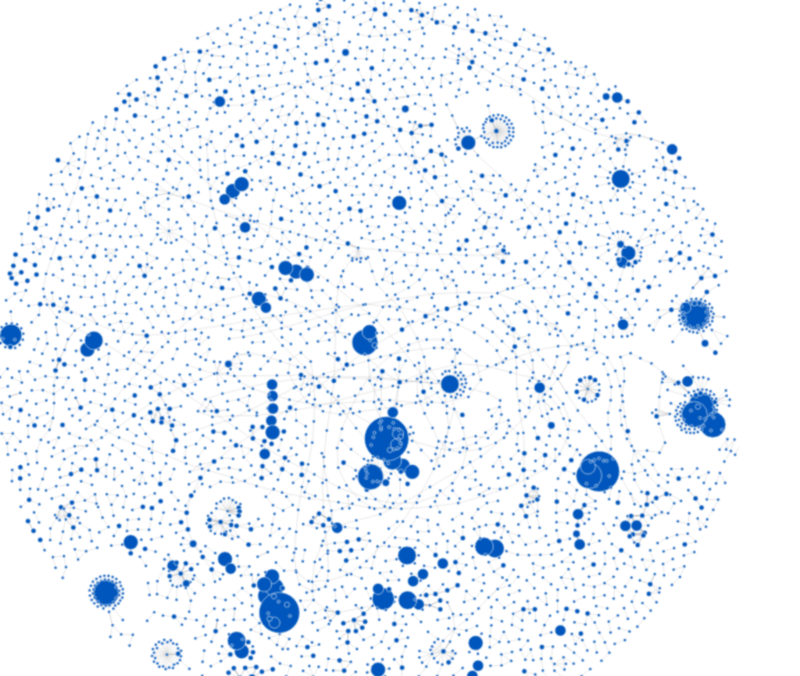 Finally, we used this data to build a visualization with d3.js that arranges these tags in space based on similarity (closer distance = more similar tags). 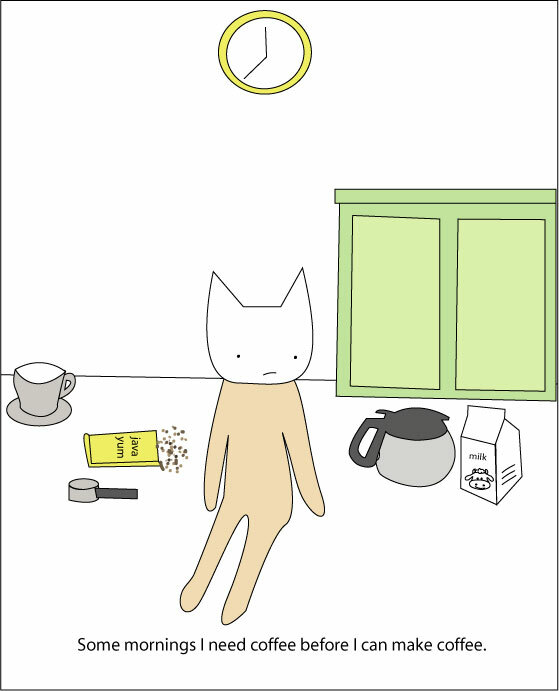 Catmonsters was a webcomic I authored primarily between 2007 and 2009. When I started out, my subpar drawing skills made it tough to create anything resembling a person. 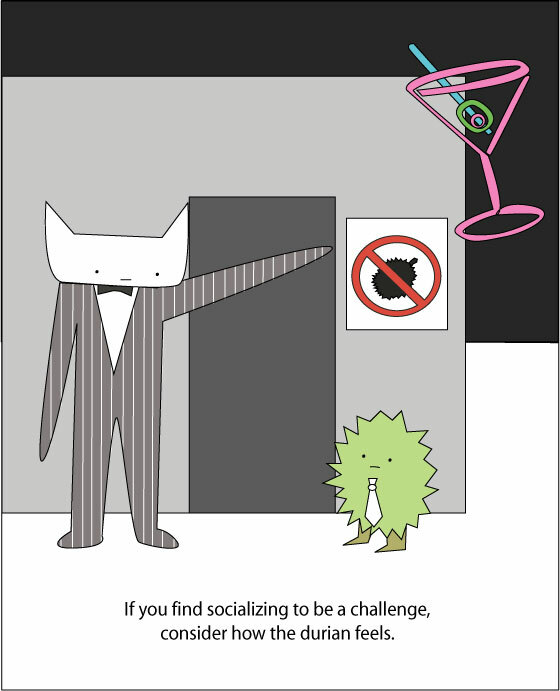 As a workaround, I created the Catmonsters, characters who talk and think and behave exactly like people, except with heads shaped like cats and amorphous multicolored bodies. 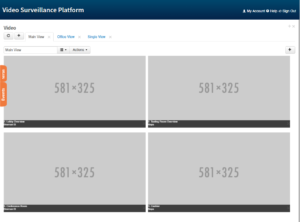 3VR designs and manufacturers DVRs (digital video recorders) for the security industry. 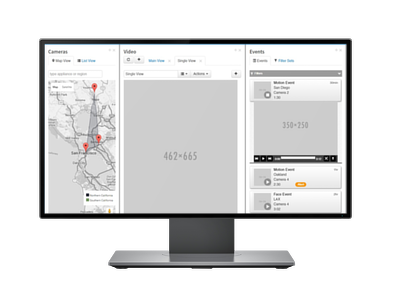 The company’s flagship product is a desktop application, but their customers also require web and mobile access to their security systems. 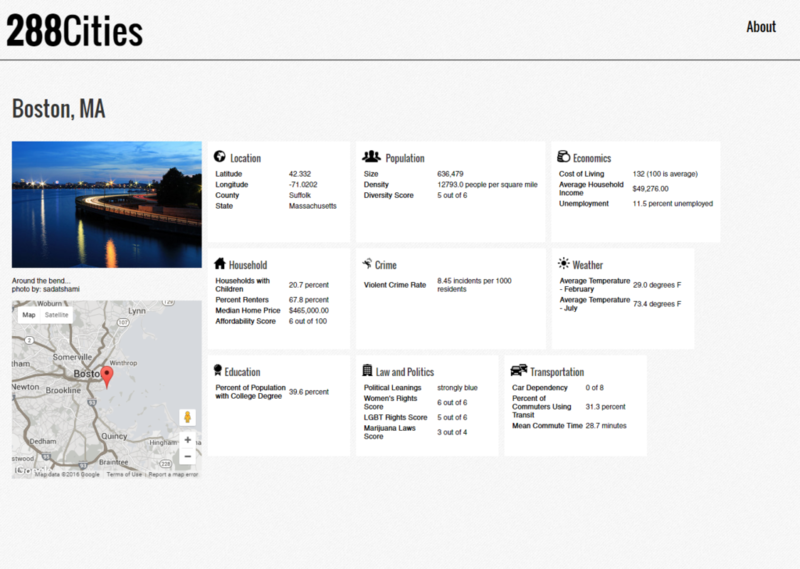 For this project I was tasked with reinvisioning the company’s interface for the web, and produced an interactive prototype to demonstrate some of the design’s concepts.